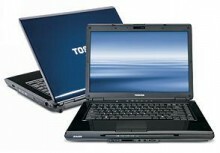 Creative IT is a full service Toshiba laptop repair centre located in Central London. We have served thousands of satisfied customers including individuals, businesses and schools throughout the UK for the past 15 years. Out team of technicians and engineers are committed to provide you with the best laptop repair and upgrade services at highly affordable prices. We offer same day Toshiba notebook repair services to customers based in and around London and fast services to UK customers. We can also arrange professional courier pick up services for those who cannot bring their faulty Toshiba notebook computers to our Central London repair centre. We have a good stock of memory, hard drives, AC adapters, DVD drives, hinges, batteries, keyboards and CD-R/CD-RW drives to offer exceptional Toshiba laptop repair, replacement and upgrade services. To know more about our London Toshiba laptop repair services, contact us at 020 7237 6805 or e-mail us at info@creativeit.tv.